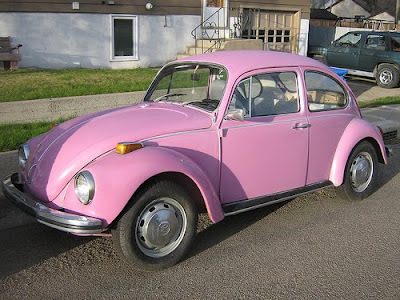 I Want a Pink Beetle! But if you would ask me if I want to have my own hobby car, I would definitely choose an old school beetle. Wanna know why? I was really attracted with it's body, it's very cute and it never ran out of trend. Beetles are certified stunner, if you drive one around, people would really look at your car especially if it's modified. i love that pink beetle too! kaya lang ala ata dito nyan na me aircon. pero kahit na wala, i also want to have one like that. nice post girl! please do check my post about Arnel Pineda National Anthem being criticized. Thanks for your interest with the Beetle mga sis. @ myles, puede mo palagyan ng aircon yan. Marami na kong nakikitang beetle na naka-aircon.